"Messenger for Kids - with parental control!" 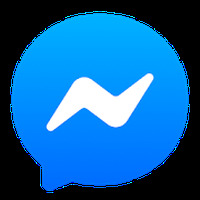 App description: Messenger Kids is the Facebook version aimed at users under the age of 13 who want to interact with friends in a secure, supervised environment. Functions: Comes with stickers, GIFs, emojis, and frames appropriate for children. The messages do not disappear and can not be hidden from parents. 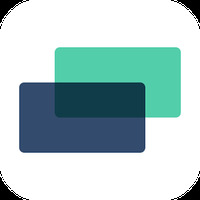 Allows you to create and share videos, customize them with masks and filters, etc. Activities: Parents have full control over the contact list and activities performed on Messenger Kids. They are also notified whenever the child reports or blocks a contact. Controls: The tactile interface is simple and easy to navigate. Recommendations: Intended for users aged 6 to 12 years. Installation requirements: A minimum of 89.78MB of free memory space and Android 4.1 or higher. Before creating the account in Messenger Kids for the child, the person responsible must provide his own username and password to access Messenger Kids from his own Facebook account. It is important that you add the contacts in Messenger Kids from the mobile device itself so that you can later manage the dashboard through your own Facebook account. The app is totally ad-free. Simplified and easy to use interface. Packed with stickers, GIFs, and frames suitable for children. Not compatible with all mobile devices. 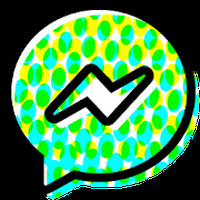 Do you like Facebook Messenger Kids?